13. 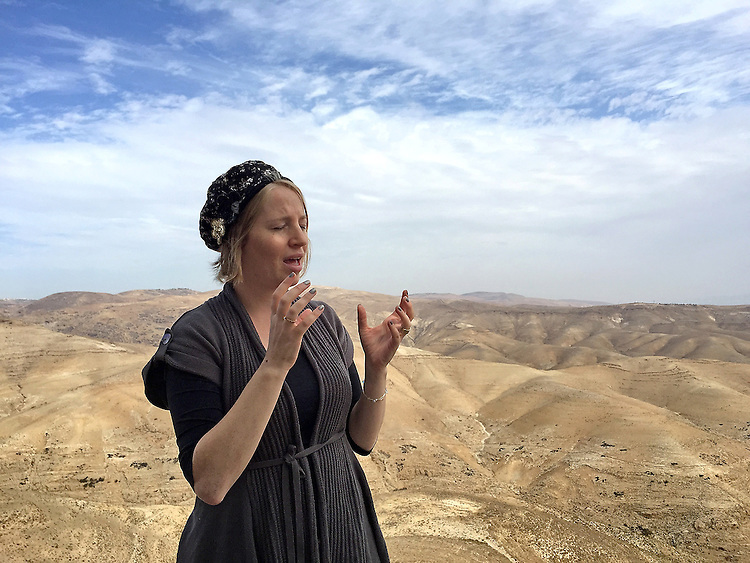 "Settler": an impassioned woman tells us about Nofei Prat, a settlement in the Benjamin Regional Council, West Bank. In the West Bank, near Jerusalem in the Judean Desert, we visited the settlement "Nofel Prat." The settlements are, of course, one of the most contentious and heatedly debated issues within and without Israel. Yet to be here, as a witness on the inside, the reality was more complex. We met with this woman and a Canadian medical student, equally impassioned and holding his baby son. They talked about their bonds with family and friends; the community, the beauty of the desert with a spring at the foot of the hills stretching below. Truly, the place seemed like an oasis. Was all this built on stolen land? Was it all a pack of lies? What to believe? It's not a simple story.